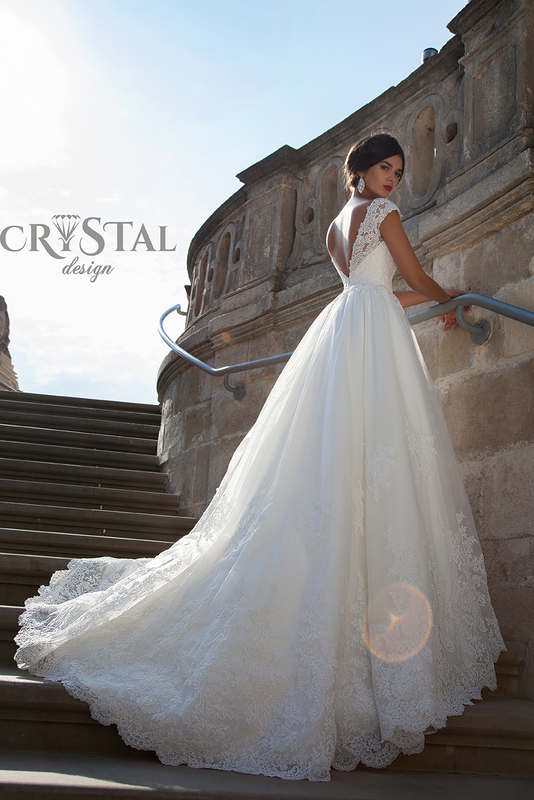 In this post I want to show you the new delightful collection of wedding dresses for 2015 from the brand Crystal Design. This Wedding Collection 2015 by Crystal Design includes feminine and concise dresses with a combination of very interesting decorations and elements. The clients can chose between different silhouettes made of royal atlas, tulle, eurotulle, chiffon, Chantilly lace, Cordova lace, crepe and guipure, decorated with handmade flowers, appliqués, bead belts and added with capes, boleros, unbelievable lines on backs and royal trains. The designers of Crystal Design also took care of the colors of their wedding dresses. In the collection you can find wedding dresses in in milky, white, pale pink, peachy and cappuccino colors. Also there are dresses which contain two colors of a cloth at a time. If you want to feel as a princess on you wedding day choose a wedding gown from this collection and be sure that you will not regret. You will look magnificent.